Just to preface this, there is no one article to rule them all when it comes to beekeeping. There are, however, thousands of dedicated beekeepers who give their advice freely on sites like the BeeSource Forums. Bees are integral to the ecosystem. Without them, life would be much harder (and less delicious). 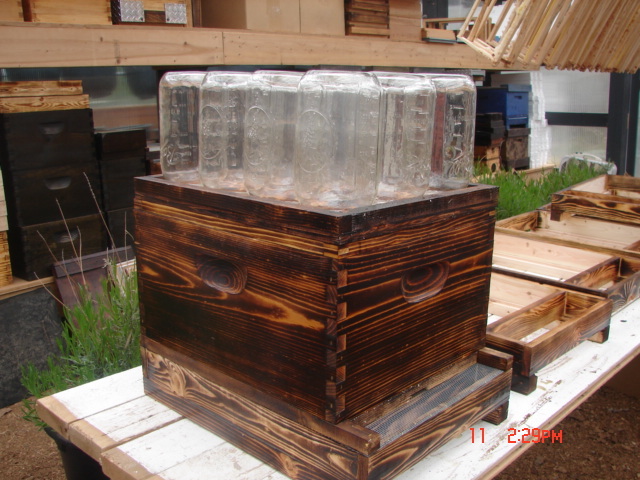 So I thought, why not post a forum discussion on how to create stunning, incredibly effective Jar Comb Honey DIY beehives? This DIY Beekeeping thread shows how beekeeping can be a lifelong passion. If you grow a garden, have fruit trees, love the taste of honey, apply raw honey on skin blemishes, own a flower patch, or just generally respect the earth, try out this stunningly elegant solution to encourage the bee population in your area (and enjoy a tasty treat too).